Bounce Back ® Horse Fence is holding a Horse Arena Fence Sale ! 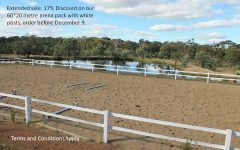 Big savings are available on all our Horse Arena Fence packs. Orders must be delivered during the month of November 2016! 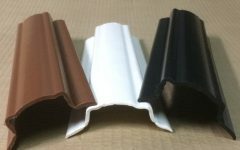 Our top selling 60*20 metre rail pack (no posts) leads the discounts with 22% of the list price. Formerly $1,925 now $1,500. This pack is also available with free freight to metropolitan areas across Australia. This amounts to over 30% discount on the delivered price! (Depending on the location). 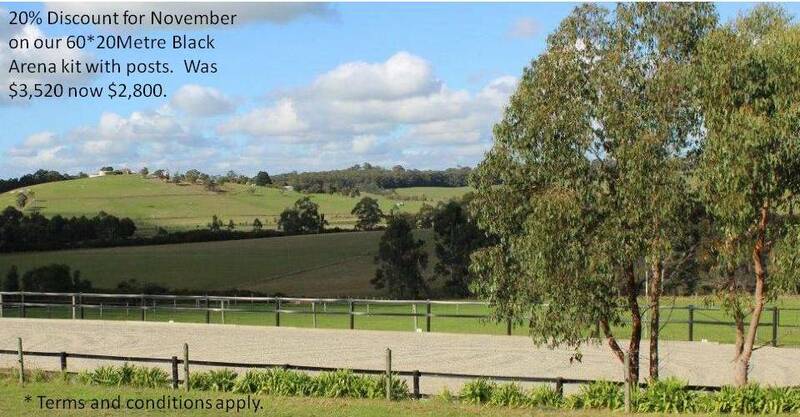 For details on our rail only pack see here horse arena fence pack – no posts. This years horse arena fence sale will include a 20% discount on list price for our Black Rail and post kit. Formerly $3,520 now $2,800. 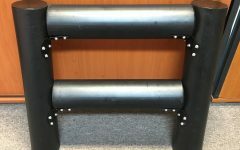 This kit features Woodshield’s black equine posts that perfectly compliment our rail and fittings. Imagine never painting you horse fencing! 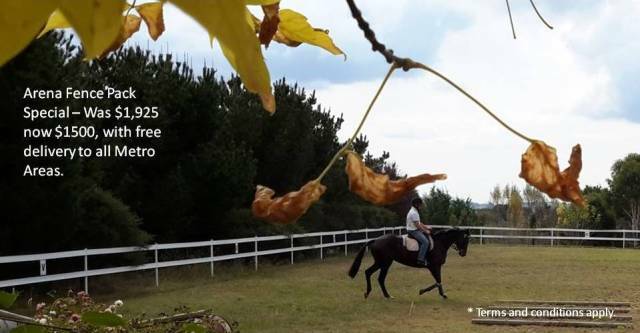 Strong and durable this beautiful black fence will beautifully complement any horse arena. 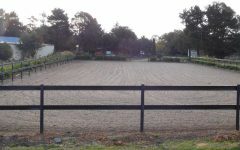 For more information on this pack see horse arena fence pack – black with posts. Horse Arena Fence Sale – An arena pack is now available with white posts! 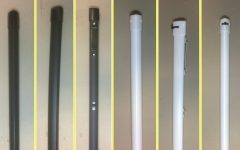 For the first time ever we are offering a white rail kit that includes posts! We are excited to a 17% discount on list price during November. List price $3,630 sale price $3,000. Featuring an exclusive white Woodshield post this pack will complete high-end arena’s across Australia. Like our black pack it will never need painting. 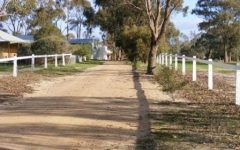 Perfect for that dressage look arena in brilliant white this horse arena fence pack will last for years and again, never need painting. 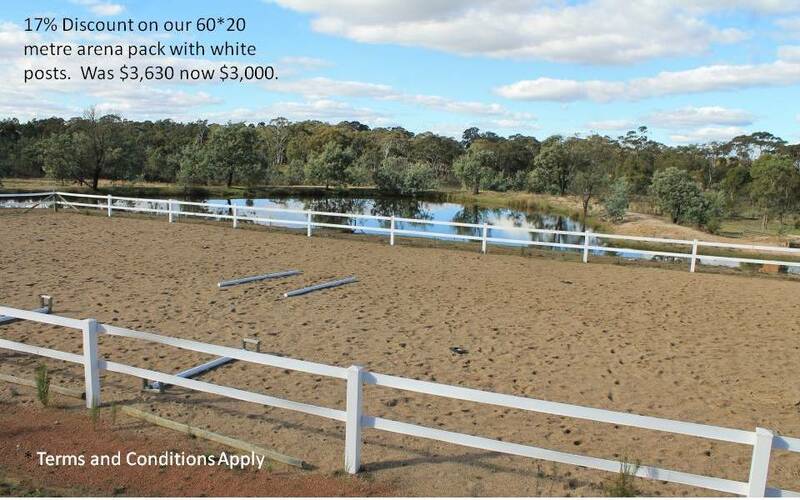 For more information see the new horse arena fence pack – white with posts. 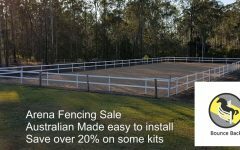 Horse Arena Fence Sale – New 40*20 metre arena pack now available! Due to the number of inquiries for small arenas we have now launched a convenient 40*20metre pack. 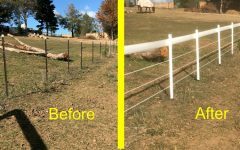 This pack DOES NOT come with posts, but does include enough rail, fittings and tools to install 2 rails of our premium fence around a 40*20 Arena. Valued at $1,540 this pack is reduced to $1,400, 9% Discount on list price, for the month of November 2016. 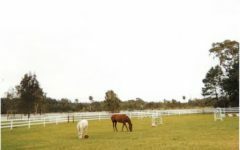 Click here to view our collection of horse arena fence packs. 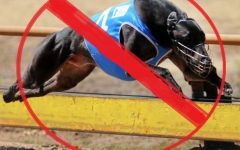 To contact us with any questions either call Geof Smith on 0400818601 or fill in an online inquiry at horse arena fence sale questions.